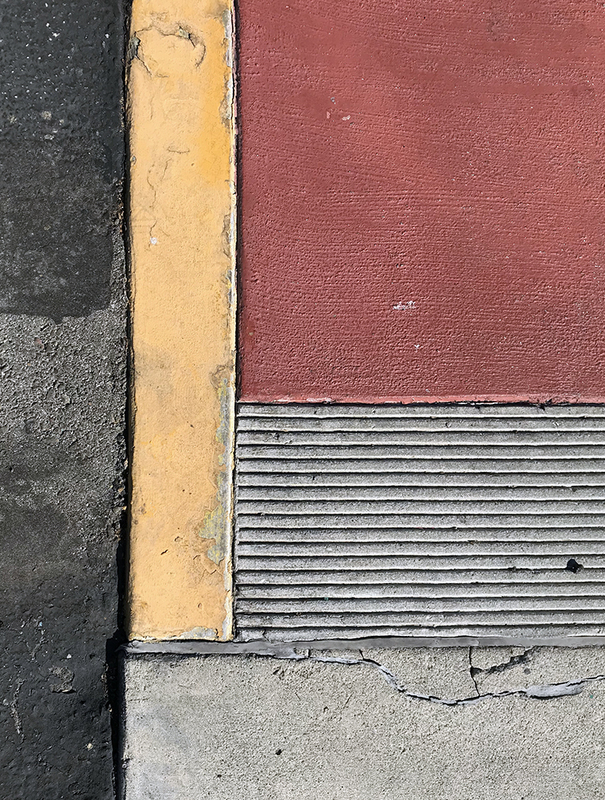 I like this color combination and the arrangement of the rectangles that comprise the visual elements of this photo. Through the lens of my camera, I’ve been editing the views of pavement for a long time. I realize that some of my photos could be blueprints for wonderful abstract paintings. Looking at the photo below, I can just imagine going to work on a large canvas with a palette knife and tubes of oil colors or acrylics, painting wide swaths and areas of color. Watercolors? I can imagine that as well. This entry was posted in Personal Stories and tagged abstract art, abstract photography, creativity, imagination, painting ideas, pavement, photography, street photography, texture, visual arts. Bookmark the permalink.